Sifting through the rot you never know what you might find. When garbage is your specialty, the smell becomes normal, you eat among it sharing space with the vultures and watch for sharp discards jutting out from the pile—a stab wound to soft soles of feet just waiting to happen. 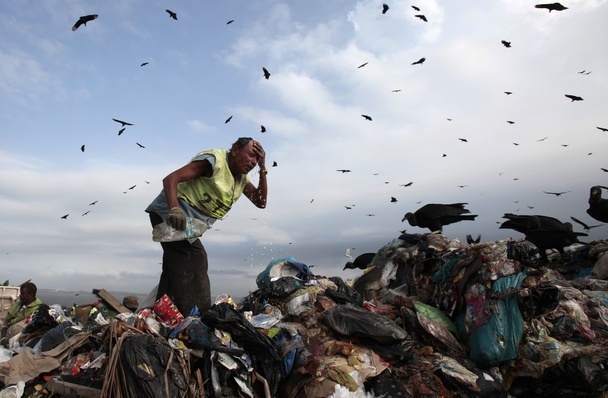 To thousands living near Jardim Gramacho, what was once South America’s largest open-air landfill, the expression “one man’s junk is another man’s treasure,” holds true. Garbage picking is an industry where recycled goods are currency and this trash mountain in Rio de Janeiro was a goldmine. 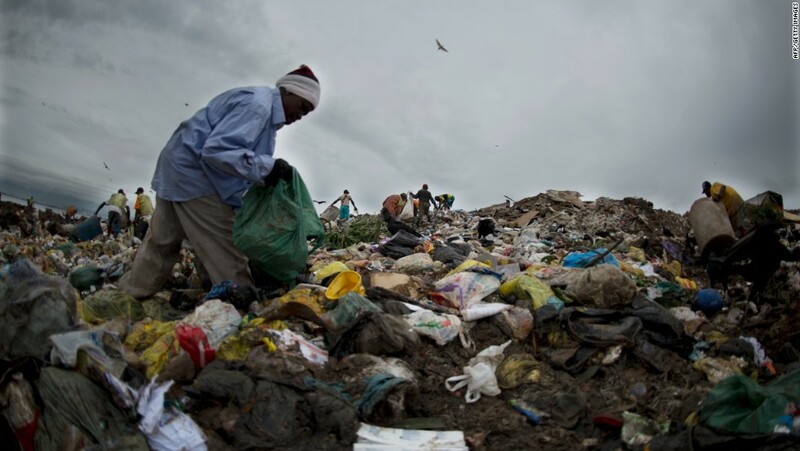 Garbage diggers, or catadores, built their homes around it and the site that was at first an unofficial dumping ground transformed into a landfill and then massive dump with a giant favela surrounding its outskirts: a city of trash. 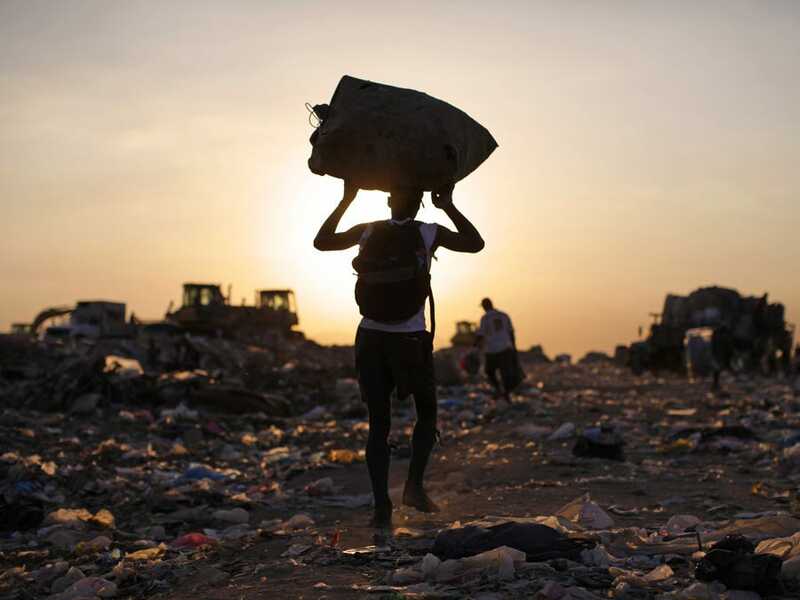 The story of Jardim Gramacho could be told in numbers: 1978 was the year the land first became a garbage haven; 13,000 is the number of garbage picking catadores; 900 Brazilian trucks dumped loads every day; 7,000 to 9,000 tonnes were discarded daily. 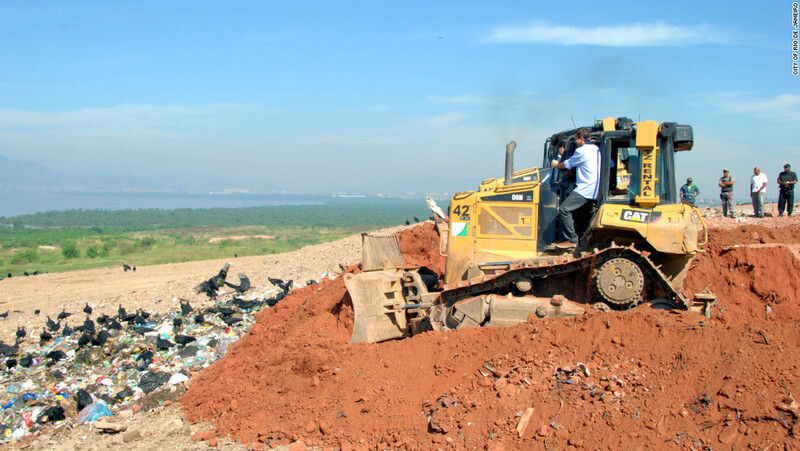 In 2012, twelve layers of dirt were piled onto the landfill to transform Gramacho into a mountain looking over Rio’s Guanabara Bay. This put an end to its 34-year history as a staple for slum living. Thousands lost their jobs. The foundation of the mountain was approximately 60 million tonnes of decomposing trash. Gramacho spanned 321 acres. It was one of the biggest landfills in the world. It was an environmental disaster, that’s for sure. Nobody thought to line the landfill and so toxic leaks streamed straight into the ocean rendering the area’s water not swimmable. Gases that used to pollute the air are now harnessed, the energy pumped to a gas facility nearby. Though it was the bread basket for plenty of Rio slum dwellers, for about two decades, it went unmonitored. Anarchy prevailed and human nature was at its ugliest: territorial, violent, selfish and ruthless. Gangs controlled the area. Some of the catadores got vicious. Oftentimes a great finding for the pickers would end in a brutal jumping. It’s been the setting for films. One in particular, Trash, came out last year. The story of child garbage diggers was directed by Stephen Daldry – known for Billy Elliot. Gramacho dump is like a freak man-made disaster. If Niagara Falls is recognized as one of the world’s finest beauties, then this Brazilian rotting garbage mass must be its opposite. But to venture into the violence and chaos where the pile exhales deadly toxins and wound-causing garbage awaits, is to make tight roping across a gorge look safe by comparison. Gramacho is so toxic that Daldry’s team had to build a fake heap for the actors. At times, the crew had to duck during gang shootouts. It’s even rumoured that the art department had to remove bodies from overnight shootings. Those were the safety obstacles. There were other challenges presented though. Low literacy rates among these Rio de Janeiro actors meant that the teenagers couldn’t read a script and much of the movie had to be improvised. He’s not the only one who has found inspiration from the dump. Lucy Walker created Waste Land, a 2010 Oscar nominated documentary that told the story of artist Vik Muniz. The Brazilian-born artist spent time living in New York before returning to Rio to use his art to change the lives of the catadores. But have their lives been changed? When the site closed and was buried in dirt, the catadores received a payout from the government. It was a Band-Aid solution though. Payouts run out fast when the work has been stopped. Illiteracy is the norm in this shanty town. When the film crews pack up and go away, they are left only to find a new landfill to once again, dig through the rot and maybe hope for a life-changing discovery.